April brings big shifts; symbolised by four planets changing direction. Both Jupiter and Venus are currently in retrograde motion which means that they appear to move backwards through the zodiac from the perspective of the Earth. Venus will change direction and move forward as from 15 April, whereas Saturn, Mercury and Pluto will all commence their retrograde journey on 6th, 10th and 24th April respectively. We may feel pulled in different directions, that things are slowing down, frustration at not moving forward and this may require us to rethink our direction. Saturn relates to form, structure and groundwork and this retrograde period (until 25 August) gives us the opportunity to thoroughly rework, rethink and re-evaluate our foundations and reassess any longer term projects, especially those relating to work. Saturn requires us to be patient, diligent, to focus our efforts and work through our limitations and fears. The hard decisions we make now will stand us in good stead for the future. When planets change direction they appear to stand still (station) and between 6 March and 9 May Saturn hovers at 27 degrees of Sagittarius which is the same degree as the Galactic Centre. 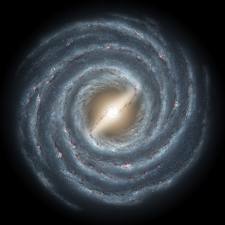 This is considered to be the rotational centre of the Milky Way and a supermassive black hole; effectively a void emitting an energetic source of cosmic information or divine intelligence. Saturn’s co-location with this centre allows access to information downloads ahead of our time and may portend the advent of new concepts and evolutionary leaps. Be aware of what filters into your consciousness during this time; however “out there” it may seem. Mercury retrogrades from 10 April – 4 May accentuating Saturn’s influence but also bringing minor breakthroughs in early May as it turns direct. The next Full Moon is on 11 April at 4.09 pm at 21 degrees and 33’ of Libra. This is our Easter Moon; Easter being a lunar festival occurring on the first Sunday after the first full moon after the March equinox.